The Missouri State University Office of Study Away Programs has received recognition for meeting the Standards of Good Practice for Education Abroad. The designation is given by The Forum on Education Abroad following an in-depth analysis of Missouri State’s standards and practices. The Forum develops the standards of good practice, provides resources, and advocates for education abroad in the United States. It’s recognized by the U.S. Department of Justice and the Federal Trade Commission as the Standards Development Organization for Education Abroad. I am in complete agreement with the Peer Reviewers’ thorough and thoughtful assessment that Missouri State University demonstrates substantial conformity with the Standards of Good Practice for Education Abroad. 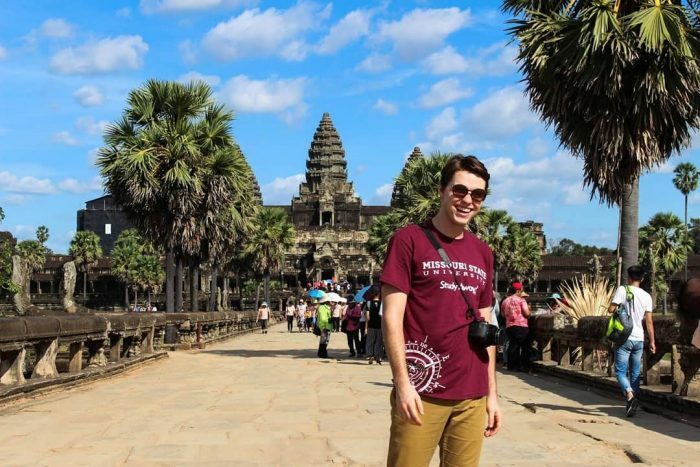 Missouri State University has developed a very strong program for bringing the benefits of education abroad to students beyond those who have historically pursued it. In doing this, Missouri State University has shown significant knowledge of new developments in education abroad, an ability to apply these to Missouri State University, and a commitment to continuous programmatic assessment, growth, and improvement.